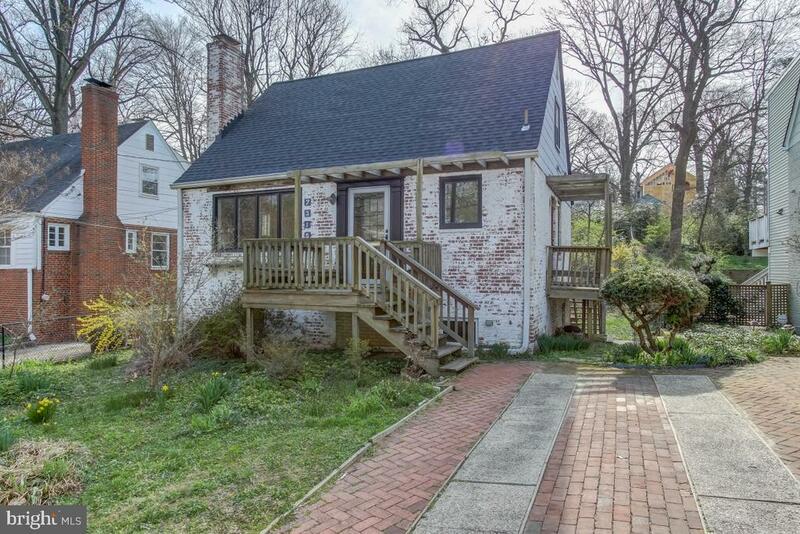 Adorable midcentury Cape Cod home in great condition, set on deep lot in the heart of one of Takoma Parks most desirable neighborhoods. Living Room with fireplace, hardwood floors, main level bathroom. Updated kitchen. Hardwood floors throughout; New architectural shingle roof; CAC; high-ceilinged, open lower level walks-out to grade and is ready for your touches. Off street parking. All just steps to schools K-8, Takoma Park Community Center and Library, vibrant downtown area with new restaurants, shops and farmers market, and under half a mile to metro! Shows well but as-is.